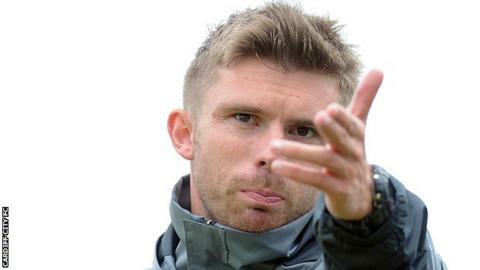 Kevin Nicholson has worked alongside Nigel Clough at Derby County and Paul Tisdale at Exeter City. Former Cardiff City youth coach Kevin Nicholson has been named Welsh Premier League side Bangor City's new manager. The 31-year-old left his role as Bluebirds Under-23 coach in December 2016 following an "internal restructuring exercise." Nicholson has also worked at Stoke City, Derby County and Exeter City. He will be assisted by Gary Taylor-Fletcher, who was Bangor caretaker manager following the departure of Ian Dawes in March. Bangor qualified for next season's Europa League after beating Cardiff Met 1-0 in the Welsh Premier League play-off final.